A spokesperson for the Save the Eighth campaign has alleged that their posters have been vandalised or stolen in a number of locations. 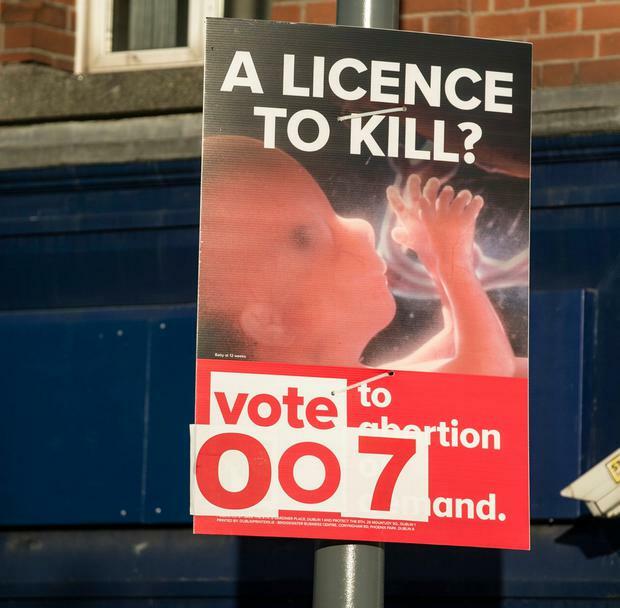 The allegation was made after altered versions of the campaign group's posters were spotted on Dublin's Dorset Street this week. 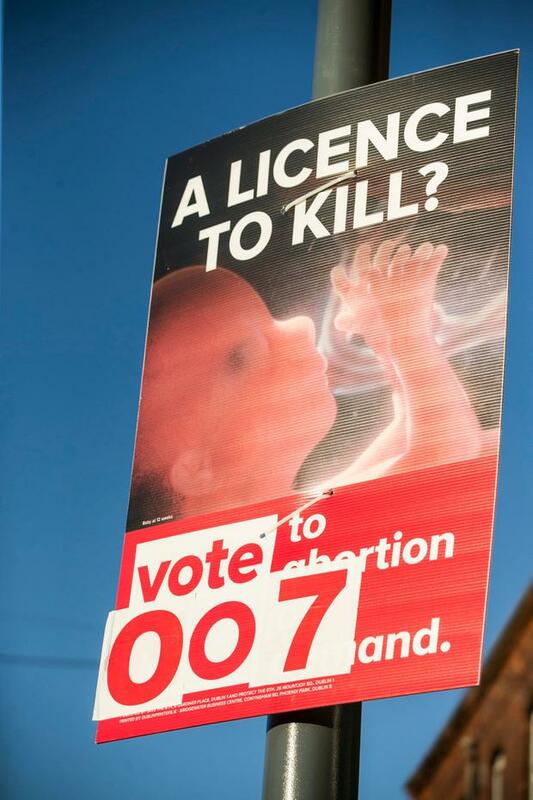 Speaking to Independent.ie, Save the Eighth's Communications Director John McGuirk said this incident was "at the milder end of the scale" before alleging that his group had seen a number of their posters vandalised or stolen, especially in Dublin, since the campaign began. Mr McGuirk said that the group had "reported many incidents to the Gardai, but we have yet to see action being taken". "It is a sustained and concerted campaign against one side in the referendum campaign, and we are extremely frustrated by the inaction of the authorities," he added. In a statement to Independent.ie, gardaí said it will investigate each case "on its own merits". A spokesperson said; "An Garda Síochána does not comment on material displayed in public places by third parties but will respect the rights of all concerned and investigate each case or complaint on its own merits and seek a direction from the DPP." Meanwhile, a man was filmed apparently tearing down posters calling for a 'Yes' vote in Limerick. The posters, which say 'Stop shaming women, Vote Yes', were erected by the Limerick branch of ROSA, who campaign for reproductive rights, against oppression, sexism and austerity. Speaking about the the poster removal incident in Limerick yesterday, Mr McGuirk said: "It's not acceptable to take down posters. It's not acceptable when it happens to us, and it's not acceptable when it happens to other groups. We condemn it utterly." A spokesperson for Together For Yes told Independent.ie: "Together For Yes respects the rights of all groups in this debate to put up posters as part of the democratic process that is a referendum campaign. We condemn any vandalism of posters."